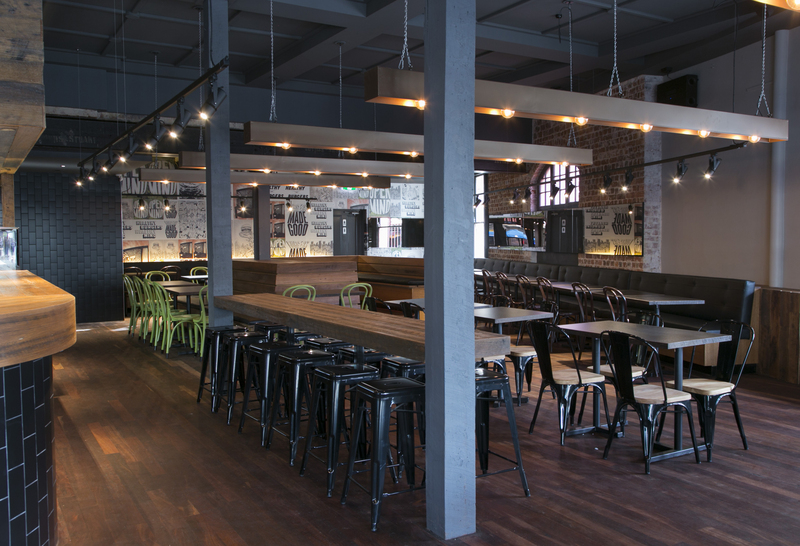 JBM projects has completed Grill’d restaurant fitouts in Western Australia, South Australia, Victoria, New South Wales and Queensland. This project in Freemantle WA was particularly challenging given it was within a three level 120 year old heritage listed building. 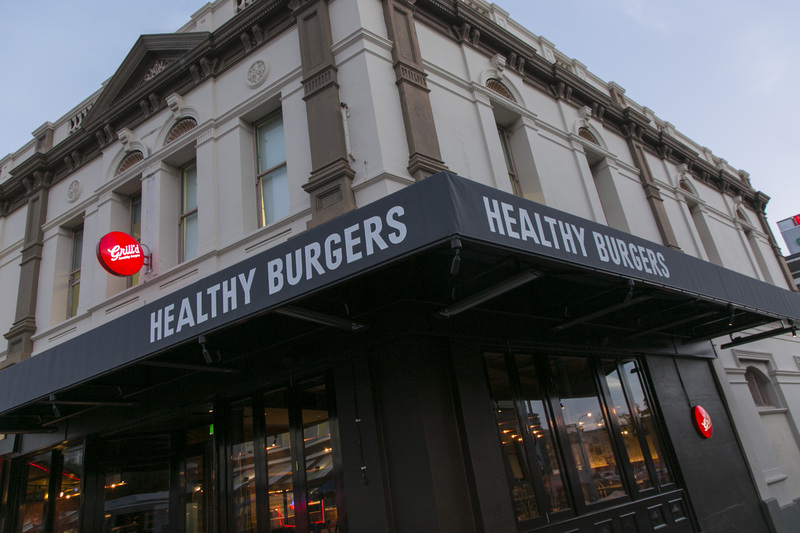 JBM Projects worked closely with the local council to maintain and work within the heritage requirements of the site and not affect the heritage building fabric in anyway. 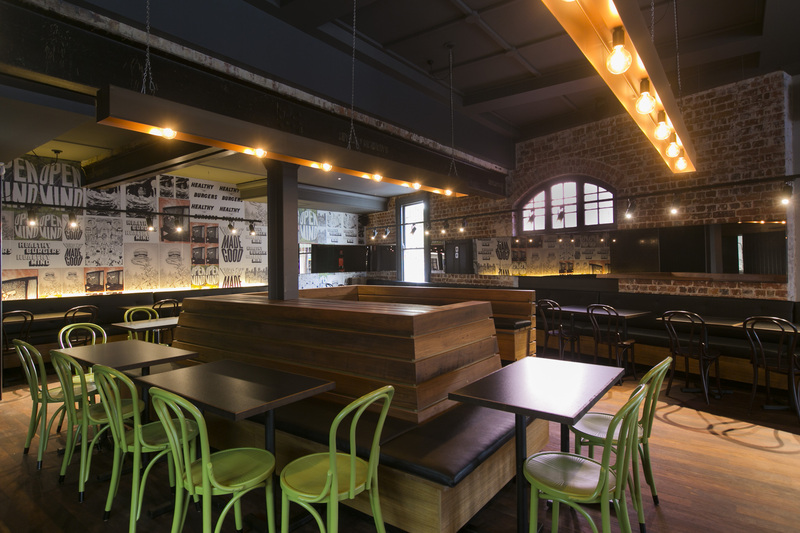 Existing original brick walls were exposed, existing ceilings, steel beams and timber floors were maintained and highlighted and the original shopfront was given a new lease of life. 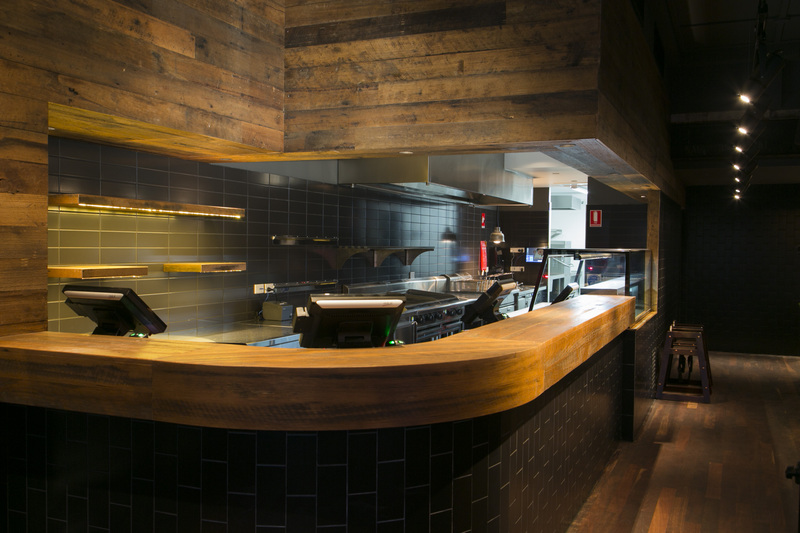 New custom-made copper light fittings and graphics were manufactured and installed to create a unique feature in the space. The three levels consisted of a basement storage and food preparation area, a ground floor kitchen, dining space and exterior toilets, and an upper floor office space for staff.